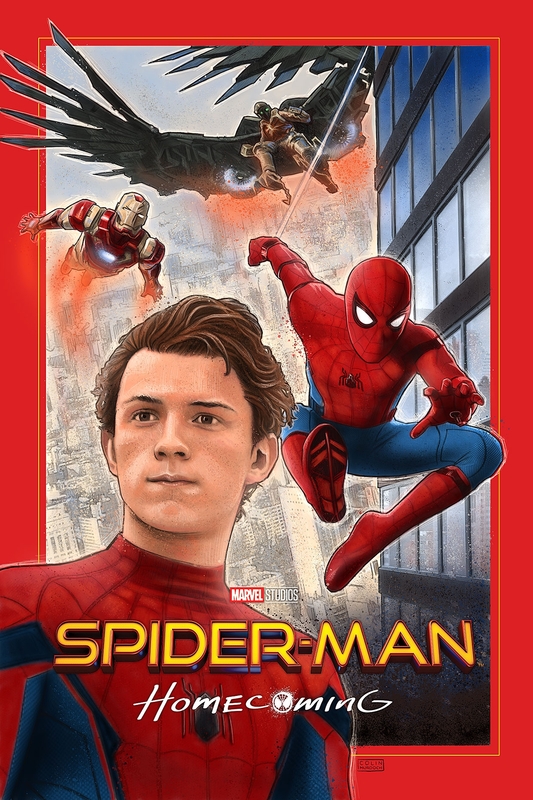 A hand drawn alternative movie poster for Spider-Man Homecoming. I think the splatter layer could have been a bit more refined, but overall I am happy with the look of the image. A bit ‘comic-book’ looking but maybe that works for a comic movie.